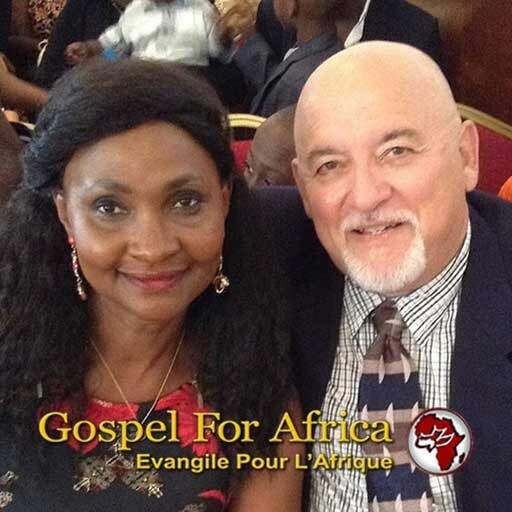 The mission of Gospel For Africa is Teaching The Word Of God, Preaching Salvation, Making Disciples and Planting Churches. We serve the poor and needy, through medical missions, helping with practical needs like clean water, food, clothing and shelter, life skills, literacy training and of course leading people to faith in Jesus Christ through evangelism outreach. Both Chris and Noelle became Christians in 1978 on opposite sides of the world. They have been serving the Lord continually these many years and now serve together on the leadership team for Gospel For Africa. They have one son who grew up on the mission field in Africa and now attends university in the USA. They live in Gagnoa, Côte d’Ivoire, a western central region, 5 hours drive from the Atlantic Ocean. Pastor Chris is an ordained minister of the Gospel of Jesus Christ. He has been faithfully serving the Lord since 1978. Before being called to full time missions in Africa, Chris served for over 30 years in the body of Christ. During those years the Holy Spirit trained Chris while he served as a Deacon, Elder, Missions Director, Church Administrator and Assistant Pastor. Chris was born in Baltimore, Maryland and grew up in South Florida. He was founder and President of two successful businesses in South Florida from 1980 to 2004. He attended the Art Institute of Fort Lauderdale , graduating with honors in Marketing and Graphic Arts and received a Web Masters Degree from Florida Atlantic University. He is bilingual, speaking english and french. Noelle was born in Abidjan, Côte d’Ivoire. She immigrated to America where she met Chris. Noelle has been serving in the body of Christ since 1978. She has led Evangelism Outreach, Neighborhood Prayer Groups, Adult Women’s Ministry, Young Adult Ministry, and Children’s Ministry for many years. Noelle earned a Masters Degree in Chemistry and has worked in the petroleum industry and food products processing industry in Africa. In America she worked as a public school teacher and college professor teaching chemistry, physics, science and biology. She is trilingual, speaking english french and Bété (African tribal dialect). What prepared you to go? People ask Pastor Chris and Noelle, what prepared them most for doing missionary church planting work in Africa. They respond, serving faithfully in the church of Jesus Christ for over 30 years under great leaders and with brothers and sisters who were sold out for Jesus Christ. Theoretical teaching in seminaries is good for gaining biblical knowledge and is necessary, but knowledge alone puffs up. It is working out that knowledge through practical serving in the body of Christ that prepares you for effective service. Gospel For Africa began in the year 2000 when Pastor Chris received the call to go to West Africa. God confirmed that calling through short term mission trips to West Africa. From 2002 to 2004 there was war in the Côte d’Ivoire. The Jones family was forced to wait until the political situation calmed down enough to move there in 2007 and they remain there full time until the present. In 2010 another war broke out and many people were killed and thousands displaced. During that time the Jones family was used by the Lord to plant a church of over 900 adults and children in a refugee camp the border of Ghana. That church is still operating today. Two more churches have been planted in the Abidjan area and a third is underway in the Gagnoa region. Both Chris and Noelle became Christians in 1978. They have been serving the Lord continually these many years. They now serve together on the leadership team for Gospel For Africa. Chris was born in Baltimore, Maryland and grew up in South Florida. Noelle was born in Abidjan, Côte d’Ivoire. She immigrated to America where she met Chris. They have one son who attends university in the USA. They live in Gagnoa, Côte d’Ivoire, a western central region, 5 hours drive from the Atlantic Ocean. We teach the Word of God in French and English, verse by verse in context, making it easy to understand. With the help of the Holy Spirit, we do our best to make the Bible relevant to the daily life of every person. It is wonderful to see God’s people grasping His Word and growing in love, joy, peace, perseverance and patience. Matthew 28:18-20 – And Jesus came and spoke to them, saying, “All authority has been given to Me in heaven and on earth. Go therefore and make disciples of all the nations, baptizing them in the name of the Father and of the Son and of the Holy Spirit, teaching them to observe all things that I have commanded you; and lo, I am with you always, even to the end of the age.” Amen. To teach the Word of God you must first preach to the unconverted. Our great passion is preaching the gospel of Jesus Christ to all who will listen. Many people have never heard that their sins are forgiven freely by the grace of God through faith in the sacrificial death of Jesus Christ. It brings us so much joy to see thousands of our African brothers and sisters coming to faith in Jesus Christ. The beginning of the Christian life is salvation. Then the new followers of Jesus Christ must be given instruction and time to grow in faith. Gospel For Africa provides such an environment for new believers. Every church we plant is a place where all Christians can grow in God’s Word. We stress practical daily application, providing opportunities for all to serve in the Church and community. We believe in the pattern and principle of male leadership and responsibility in both the home and the church, according to the sacrificial example of Jesus. We believe this limits the roles of pastoral leadership and doctrinal authority to qualified men (I Corinthians 11:1-12; I Timothy 2:1-15). We believe in the universal church, the living spiritual body, of which Christ is the head and all who are born again are a part of the Body of Christ (I Corinthians 12:12-13; Ephesians 4:15-16). We believe that the Lord, Jesus Christ instituted two ordinances for the church: the full-immersion water baptism of believers and the Lord’s Supper (Matthew 28:19; Luke 22:19-20; Acts 2:38; I Corinthians 11:23-26). We believe in the Second Coming of Jesus Christ, which is His personal, visible return to Earth and the establishment of His millennial kingdom, in the resurrection of the body, the final judgment and eternal blessing of the righteous and endless separation of the wicked (Matthew 16:27; Acts 1:11; Revelation 19:11-16, 20:11-15). We believe in the Pre-Tribulation Rapture of the Church where all believers will meet the Lord in the air and be taken out of this world prior to the Tribulation that will come upon the earth (Isaiah 26:20; Matthew 24:29-31; Luke 21:36; Romans 1:18, 5:9; I Thessalonians 1:10, 4:13-16, 5:9; II Peter 2:7-9; Revelation 3:10, 5:7-10, 7:13-14). Nous croyons que les Écritures de l’Ancien et du Nouveau Testament sont la Parole de Dieu, pleinement inspirée sans erreur et selon la règle infaillible de la foi et de la pratique. La Parole de Dieu est le fondement sur lequel fonctionne l’Église et constitue la base sur laquelle l’Église est gouvernée. Nous croyons que la Parole de Dieu a préséance sur toute loi terrestre contraire aux Saintes Écritures (Ésaïe 28:13; Néhémie 8: 8; Jean 17:17; II Timothée 3: 16-17; Hébreux 4:12; I Pierre 1 : 23-25; II Pierre 1: 3-4, 21). Nous croyons qu’il y a un seul Dieu vivant et vrai, existant éternellement en trois personnes: le Père, le Fils et le Saint-Esprit, égaux en puissance et en gloire; que ce Dieu trinitaire ait tout créé, tout soutenu et tout gouverné (Genèse 1: 1; Deutéronome 6: 4; Esaïe 44: 8, 48:16; Matthieu 28: 19-20; Jean 10:30; Hébreux 1: 3 ). Nous croyons en la personne de Jésus-Christ, le Fils unique de Dieu, conçu par le Saint-Esprit. Nous croyons en sa naissance vierge, sa vie sans péché, ses miracles et ses enseignements, sa mort expiatoire substitut, sa résurrection physique, son ascension au ciel, son intercession perpétuelle pour son peuple et son retour visible sur la terre (Ésaïe 7:14; Michée 5: 2; Matthieu 5: 2; Matthieu 1:23; Marc 16:19; Luc 1: 34-35; Jean 1: 1-2, 8: 58, 11: 25; I Corinthiens 15: 3-4; I Timothée 3:16; Hébreux 1: 8; I Jean 1: 2; Apocalypse 1: 8). Nous croyons en la personne du Saint-Esprit, qui est sorti du Père et du Fils pour convaincre le monde de péché, de justice et de jugement, et pour régénérer, sanctifier et autonomiser tous ceux qui croient en Christ (Jean 16: 8). 11; Actes 1: 8; Romains 8:26, 15: 13, 16; II Corinthiens 3:18; Hébreux 9:14). Nous croyons que le Saint-Esprit habite chaque croyant en Jésus-Christ et qu’il est un assistant, un enseignant et un guide qui demeure (Jean 16:13, 14: 16-17, 16: 8-11; Romains 8:26). Nous croyons au baptême du Saint-Esprit en tant qu’expérience distincte de celle de la régénération, postérieure ou simultanée au salut, illustrée par une plus grande dynamique dans la vie du chrétien, permettant à cette personne d’être un témoin audacieux et plus efficace. . La preuve suprême de la vie remplie de l’Esprit est le fruit de l’Esprit, l’amour. Nous croyons au ministère actuel du Saint-Esprit en ce qui concerne l’exercice de tous les dons bibliques du Saint-Esprit selon les instructions qui nous ont été données (I Corinthiens 12-14). Nous croyons que tout le monde est pécheur par nature et par choix, ne respectant pas la norme de Dieu et enfreignant ses commandements – et est donc soumis au jugement juste de Dieu. Pourtant, Dieu sauve et donne une nouvelle vie à tous ceux qui viennent à lui avec repentance et foi, faisant confiance à la personne et à l’œuvre de Jésus-Christ. À la croix, Jésus-Christ est mort à notre place en tant que notre substitut, absorbant la colère de Dieu qui aurait dû nous arriver. Parce que Jésus est mort pour les péchés du monde, l’invitation à croire est ouverte à tous. Tous ceux qui le désirent peuvent demander à Jésus une vie nouvelle et le pardon des péchés (Matthieu 11:28; Jean 3:16; Actes 3:19, 20 : 21; Romains 3:23; Ephésiens 2: 1-3, 8-9; I Jean 2: 2; Apocalypse 22:17). Nous croyons au modèle et au principe du leadership et de la responsabilité masculins à la fois au foyer et à l’église, selon l’exemple sacrificiel de Jésus. Nous croyons que cela limite les rôles de direction pastorale et d’autorité doctrinale à des hommes qualifiés (I Corinthiens 11: 1-12; I Timothée 2: 1-15). Nous croyons en l’église universelle, le corps spirituel vivant, dont Christ est le chef et tous ceux qui sont nés de nouveau font partie du Corps de Christ (I Corinthiens 12: 12-13; Ephésiens 4: 15-16). Nous croyons que le Seigneur, Jésus-Christ a institué deux ordonnances pour l’église: le baptême d’eau des croyants en immersion totale et le Dîner du Seigneur (Matthieu 28:19; Luc 22: 19-20; Actes 2:38; I Corinthiens 11:23 -26). Nous croyons en un paradis littéral et un enfer littéral et que tous ceux qui placent leur foi, leur espoir et leur confiance en Jésus-Christ, passeront l’éternité au paradis avec le Seigneur. Ceux qui rejettent le don gratuit du salut par Jésus passeront l’éternité séparés du Seigneur (Psaume 9:17; Matthieu 5: 3, 5:22, 18: 9, 25: 31-34; Marc 9: 42-49; Luc 12 : 5; Jean 3:18; Hébreux 12:23; I Pierre 1: 4; Apocalypse 14: 10-11, 20: 11-15). Nous croyons en la seconde venue de Jésus-Christ, qui constitue son retour personnel et visible sur la Terre et l’établissement de son royaume millénaire, en la résurrection du corps, le jugement final et la bénédiction éternelle de la séparation des méchants (Matthieu 16:27; Actes 1:11; Apocalypse 19: 11-16, 20: 11-15). Nous croyons en l’enlèvement pré-tribulation de l’Église où tous les croyants rencontreront le Seigneur dans les airs et seront enlevés de ce monde avant la tribulation qui s’abattra sur la terre (Ésaïe 26:20; Matthieu 24: 29-31). ; Luc 21:36; Romains 1:18, 5: 9; I Thessaloniciens 1:10, 4: 13-16, 5: 9; II Pierre 2: 7-9; Apocalypse 3:10, 5: 7-10, 7: 13-14). Nous croyons que Dieu a créé les hommes et qu’il les a créés en deux sexes; mâle et femelle. Nous rejetons complètement l’idée qu’il existe plus de deux sexes. Dieu a créé le genre masculin et le genre féminin différents afin de se compléter et se compléter. Dieu a institué le mariage monogame entre hommes et femmes comme fondement de la famille et de la structure de base de la société humaine. Par conséquent, nous célébrons nos mariages conformément à la Bible, conformément à l’Ancien et au Nouveau Testament (Genèse 2:24; Matthieu 19: 4-6; Jean 4: 16-18; Romains 1: 18-32; I Corinthiens 5:11, 6: 9-11,18-20, 7: 1-3,8-9; Galates 5: 19-21; Éphésiens 5: 3-7; I Timothée 1: 9-11).